KERRY MANAGER EAMONN Fitzmaurice has named an unchanged side for Saturday’s Munster senior football semi-final tie against Waterford. The Kingdom go their 2013 championship campaign off to a brilliant start when they ran out comfortable winners by 2-19 to 0-8 against Tipperary in Fitzgerald Stadium last Sunday afternoon. As they get set to return to the Killarney venue for Saturday’s game which has a 7pm throw-in time, Kerry have kept faith with that starting line-up. Established players like Darran O’Sullivan and Bryan Sheehan have to be content with places on the bench again after being amongst the substitutes brought on last Sunday afternoon. Kerry have drafted Tarbert’s Shane Enright and Legion’s Jonathan Lyne into their substitutes list for Saturday’s game. The match marks the first senior football championship meeting between the counties since 2007 when Kerry got the better of Waterford by 2-15 to 0-4 in the Fraher Field in Dungarvan. The eight survivors on the current Kerry team from that game are Marc Ó Sé, Aidan O’Mahony, Tomás Ó Sé, Killian Young, Paul Galvin, Colm Cooper, Declan O’Sullivan and Kieran Donaghy. Current selector Diarmuid Murphy was in goal for that game while Darran O’Sullivan came on as a substitute in the second-half that day. KERRY: Brendan Kealy (Kilcummin); Marc Ó Sé (An Ghaeltacht), Aidan O’Mahony (Rathmore), Fionn Fitzgerald (Dr Crokes); Tomás Ó Sé (An Ghaeltacht), Killian Young (Renard), Peter Crowley (Laune Rangers); Anthony Maher (Duagh), Johnny Buckley (Dr Crokes); Paul Galvin (Finuge), Colm Cooper (Dr Crokes), Donnchadh Walsh (Cromane); Declan O’Sullivan (Dromid Pearses), Kieran Donaghy (Austin Stacks), James O’Donoghue (Legion). Meanwhile Waterford boss Niall Carew has revealed his starting side the clash with Kerry. There are eight survivors from the Waterford side that last appeared in the championship when they lost out Wicklow in the All-Ireland qualifiers last June – Stephen Enright, Thomas and Maurice O’Gorman, Shane Briggs, Tony Grey, Andy Doyle, Paul Whyte and Gary Hurney. The newcomers into the side are Tadhg Ó hUallacháin, Niall Walsh, Conor Phelan, John Hurney, Tommy Prendergast, Shane Aherne and Robert Aherne. Thus Kieran Connery, Wayne Hennessy, Sean Dempsey, Patrick Hurney, Liam Ó Lionáin, Mark Ferncombe and JJ Hutchinson. WATERFORD: Stephen Enright (Ballinacourty); Tadhg Ó hUallacháin (An Rinn), Niall Walsh (Kilrossanty), Thomas O’Gorman (The Nire); Conor Phelan (Brickey Rangers), Shane Briggs (Ballinacourty), John Hurney (Ballinacourty); Maurice O’Gorman (The Nire), Tommy Prendergast (Kilrossanty); Tony Grey (Stradbally), Shane Aherne (Stradbally), Andy Doyle (Stradbally); Paul Whyte (Kilrossanty), Gary Hurney (Ballinacourty), Robert Aherne (Stradbally). Westmeath boss Pat Flanagan has opted to name an unchanged side for their Leinster quarter-final tie with Dublin in Croke Park on Saturday night. 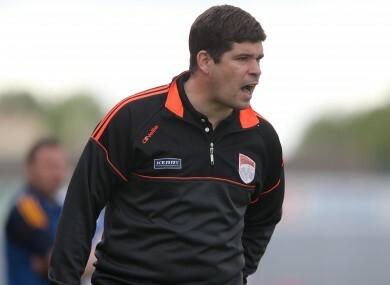 Flanagan has kept faith with the side that saw off Carlow by 3-15 to 1-10 in their opening provincial round clash. John Heslin, who shot 0-6 in that tie, will be a key figure at midfield while Dessie Dolan, Kieran Martin and James Dolan – who struck 3-6 between them against Carlow – will lead the line in attack. There are five survivors from the Westmeath side that started when they last faced Dublin in the Leinster championship in 2009. Dublin were comfortable winners in that game by 4-26 to 0-11 with Gary Connaughton, Kieran Gavin, Doron Harte, David Duffy and Denis Glennon all having started Westmeath in that clash. Dessie Dolan came on as a substitute in that game for Westmeath. Back in 2004 when Westmeath shocked Dublin by triumphing by 0-14 to 0-12, Connaughton, Dolan and Glennon were all involved in that famous success. WESTMEATH: Gary Connaughton (Tubberclair); Mark McCallion (Garrycastle), Kieran Gavin (Mullingar Shamrocks), Kevin Maguire (Caulry); Doron Harte (Garrycastle),Paul Sharry (St Loman’s), John Gaffey (Garrycastle); David Duffy (Shandonagh), John Heslin (St Loman’s); Kieran Martin (Maryland), Callum McCormack (Maryland), James Dolan (Garrycastle); Ger Egan (Tyrrellspass), Denis Glennon (Tyrrellspass), Dessie Dolan (Garrycastle). Email “Kerry unchanged for Munster semi-final clash with Waterford”. Feedback on “Kerry unchanged for Munster semi-final clash with Waterford”.